Although acknowledging there may be some minor problems, it would appear then that everything is more-or-less smelling of roses. It's an interesting one. That new unit cost a few million pounds and was opened with all the usual pomp and circumstance. However this subject is one that few people are particularly bothered about unless it concerns them or a family member directly. The Chief Minister, Howard Quayle MHK, has officially opened Manannan Court, the Island’s new £7.2 million inpatient mental health facility. 'Bringing about this new facility is one of the highlights from my first term of office as an MHK and from my time as Minister for Health and Social Care. Well, that's the facts, but as this is a forum, and if you want my opinion, well for good reasons, I see the matter more as the whistleblower does. I thought so too. Felt the paper was far too quick to run with some unsubstantiated tittle-tattle. You have to sort of measure that with the fact that all whistleblowers will be deemed not genuine by those they are whistleblowing on. That's why the call is always to name names. 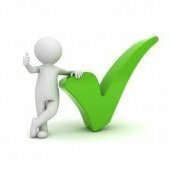 concerns ought to be raised internally in the first instance, with your line manager, admin staff, internal whistleblowing procedures or whatever. Not in the experience of any of the people I know who have actually tried that. I agree with you. It makes me laugh the comments above and just shows how fucked up government management and reporting lines are. Everyone has a right to whistle blow. If things are being run by a bunch of dickheads that last thing any sane person with an ounce of common sense does is approach said dickheads directly and tell them that they’re incompetent and that they want their incompetence to be investigated by their boss. It’s totally nonsensical. You’re just writing your own career death warrant no matter what official reporting lines require you to do. I really can’t believe some of the comments above in that context. 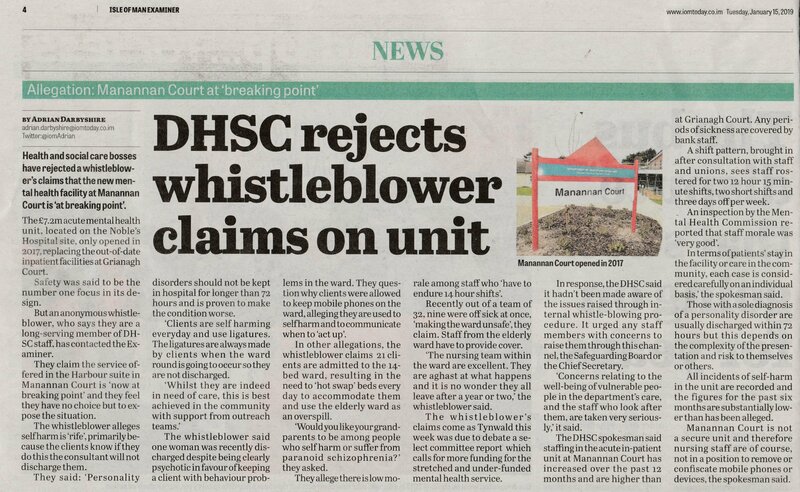 Just shows you how irretrievably doomed our health services are at improving things for service users if staff can’t whistle blow confidentially. You assume concerns have been raised as far as they can before they have taken this sort of action as nothing has happened to change anything. They need to put an anonymous whistle blowing facility in like most of the banks have because the banks are actually interested in weeding out muppets, fraudsters, crooks and people who are useless at their jobs from their businesses. Not in covering up for them like IOMG. Hence reports are taken seriously, investigated by independent people, and finally pursued (or not) after an independent opinion on whether there is enough evidence to pursue or if the report is a waste of time. It’s not hard. It’s called good governance and actually stops people going to the papers out of desperation. If only IOMG got that concept it might help. Oh come on, it's a bit more than "tittle-tattle". Why would anyone take the risk to contact the newspapers. I am sure that Adrian Darbyshire, the writer of the article, would have satisfied himself that the whistleblower was bona fide. Incidentally, in the last decade or so, how many people have killed themself or have died in this unit or it's predecessor? The Government culture is one of self defence. Attack any person who disagrees, apposes, criticises their view or stance. A whistle blower is only created when the culture they live in fails to recognise or respond to legitimate concerns.